There is something incredibly sad about going back to a past life. You are there in person but gone are the friends and the lifestyle. You cannot bring the past back. To live elsewhere enriches and enlarges one, but, always leaves one divided forevermore. For, you are in one place physically but inside you are in another. 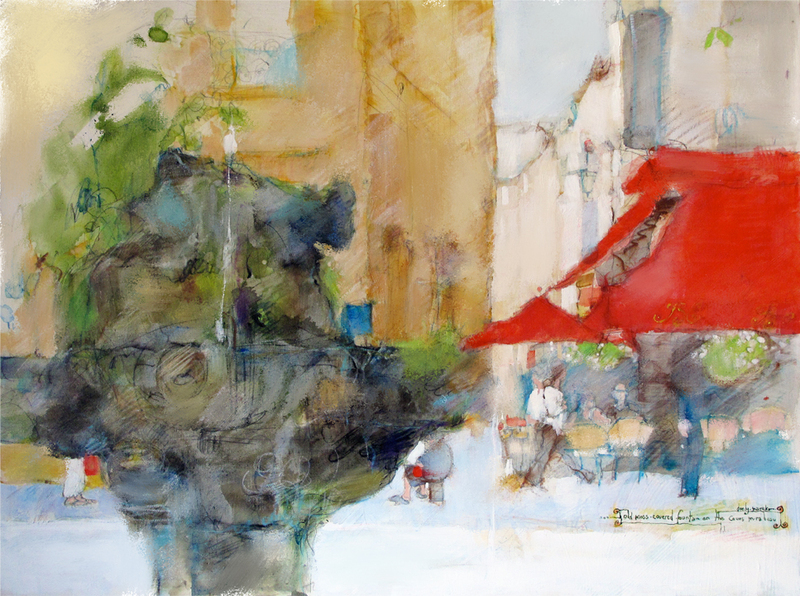 I have called this painting "The old moss-covered fountain on the Cours Mirabeau".